With our special guest Carl from Ogiue Maniax, we look at one of the most off-putting genres in anime. Mecha is one of the few not phonographic genres that people easily decide they despise. At the same time, it is a genre that has a fanatical base of fans that can turn away anyone who is not predisposed to liking robot shows. This is the podcast for anyone who has tried a mecha anime and decided they do not go together. This is also for anyone who is trying to get their more skittish friends to watch robots. We present a selection of shows that have enough robots to qualify as mecha while not being too down the rabbit hole. You might not find yourself building Gundam models while watching Mazinkaiser SKL but you might also not run away any time you see Valkyrie on the screen. Simultaneously pour the robot and Orange Lion into a large glass while shouting FUUUUSIOOOON!!! Once the pouring is complete shout the name of your new drink: Gai! Gar! Then wait for Final Fusion to be approved. 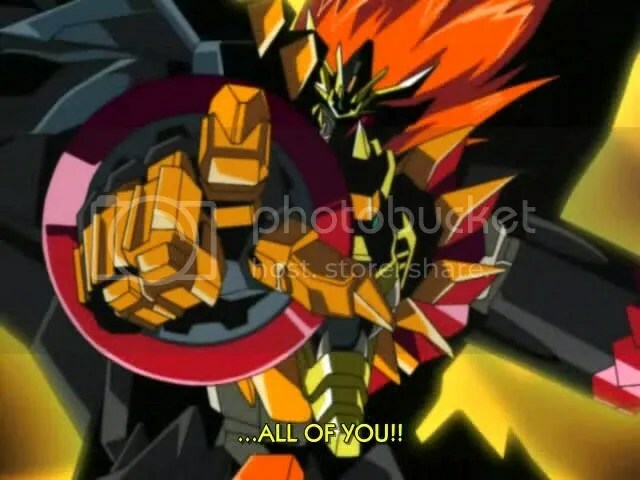 Once Final Fusion is approved and the Program Drive has been activated shout FINAL! FUUUSIOOOON! and pour the Drill, Bullet Train, and Stealth Bomber into the GaiGar as heroic music swells in the background. Once this is complete loudly shout to the heavens the name of your King of Drinks: GAO! GAI! GAAAAARRRR! Getter Robo in general is more a Ken Ishikawa franchise than a Go Nagai one. I’d probably recommend the Getter Robo mangas as I think they’re excellent, story and character wise, but the crazy art would probably turn people off. I think Jun Kawagoe’s Mazinkaiser SKL works pretty well if the person you’re recommending it to is a heavy metal fan regardless of their love for giant robots. Betterman is really weird and it doesn’t really give you answers till half way and for someone who didn’t pick biology as one of their subjects at school and this could be a problem as it can get really confusing if you’re not paying attention. I initially got into mecha after I basically got bored of Naruto fillers in 2008. Back in the early 2000s, it was the only thing I was watching and a few nostalgia titles like the new Saint Seiya Hades that came out… But I made the jump from Naruto to Go Nagai mecha. I always thought to myself, why aren’t there any kind of robot designs like these before? Back then, there was Grendizer and its fabulous Duke Fleed. Actually there was, and I just wasn’t looking hard enough. Today, I consider myself a Go Nagai fan as I’ve pretty much watched everything translated both manga and anime wise from him. I don’t know if I should say this, but his works turned me into a loving liberal. No, I don’t think Go Nagai is crazy, Mrs , I think he’s a genius who perfectly understands my psyche and the world would be a sad place without him. 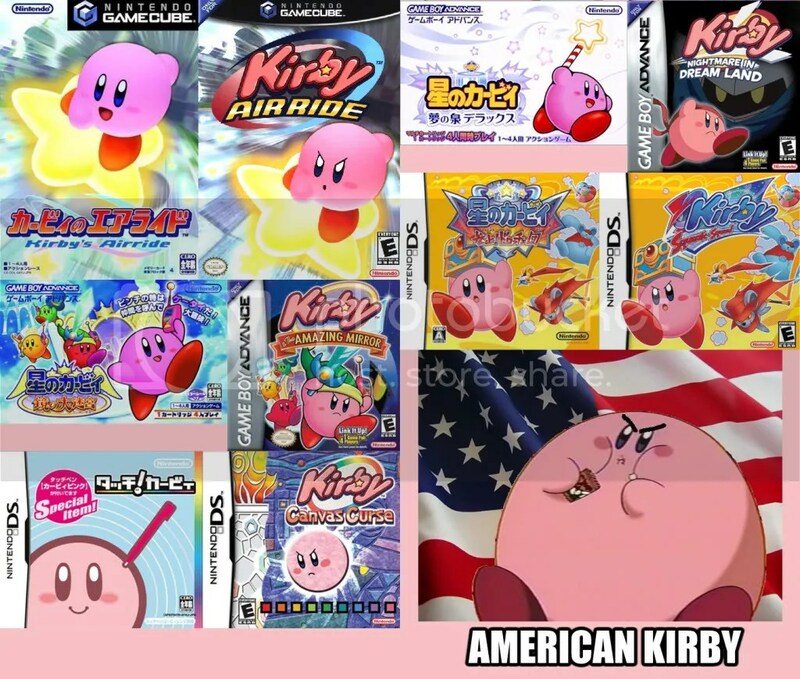 On the topic of difference between realistic character in video games, the American and Japanese covers for the Kirby games best illustrates the two sensibilities. This was really good, thank you for putting this together. I’ve often had a real problem getting people into robot shows and this gave me a lot to chew on. I’ve also felt Gundam was a series I’d need golden drill to break into, but I’m going to check out 0080: War in the Pocket based on your recommendations. I’d also say that if someone has a hard time with robots in general you might want to try Iron Giant, Megas XLR, or Sym-Bionic Titan as these are western shows/movies that might make it easier for people to enjoy. Another fun podcast, guys. I’ll have to check out some of these suggestions. I’m definitely the audience this show was aimed at. I’ve had trouble getting into robot shows. The few I’ve liked, I’ve liked for reasons of character and story, and everything else AROUND the robots. I know for me, the biggest obstacle to getting into robot shows has been that I’m not usually that interested in the robots themselves. I’d much rather here about the people piloting the robots.